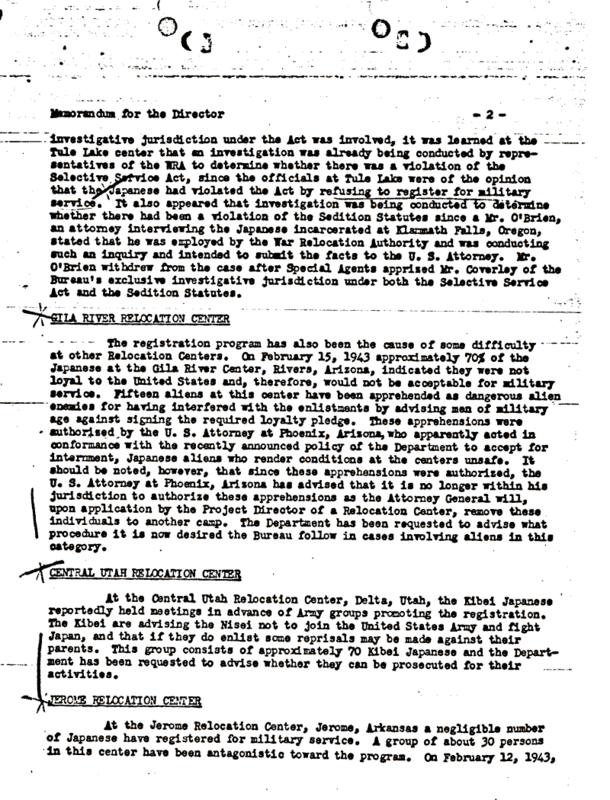 Document Notes: Short summary of problems in various centers, particularly Manzanar. Gives description of interplay between congressional leaders, WRA and FBI. Reports on Army efforts to secure volunteers and the interplay between those loyal to the U.S. and Japan. The numbers are significant and so are the threats to those seeking to volunteer for service.